Stewarding the environment starts with ourselves and our organizations. With respect to the environment, we at Conscious Brands practice the following: tracking carbon emissions, a strong carbon reduction strategy, full carbon offsets of all business travel, all employees provided with a bike to decrease emissions from commuting, annual goal of 70% car-free employee commuting (and way ahead of target), annual target of producing less than 10lbs of landfill waste (and we are on target), vermi-composting in the office, support commercial recycling companies to pickup recyclable products, strong local and sustainable purchasing policy, and more. All of these practices are inform our recommendations to our clients all across North America in their exploration of ‘environment’ as one of several key stakeholders that their business should address. As well, in the last week we areSTOKED to recently become a 1% for the Planet Member! If we sound worthy of this award, make two clicks and vote for us (we’d be honoured). One vote is available per e-mail address and voting is open until Oct. 15th. Fall 2014 Holacracy Taster Workshops Coming Up! 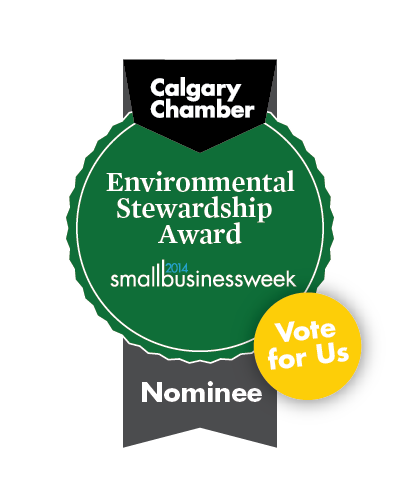 Toronto, Ottawa, Calgary Conscious Brands has been nominated for a Be Local Award. Vote for us!